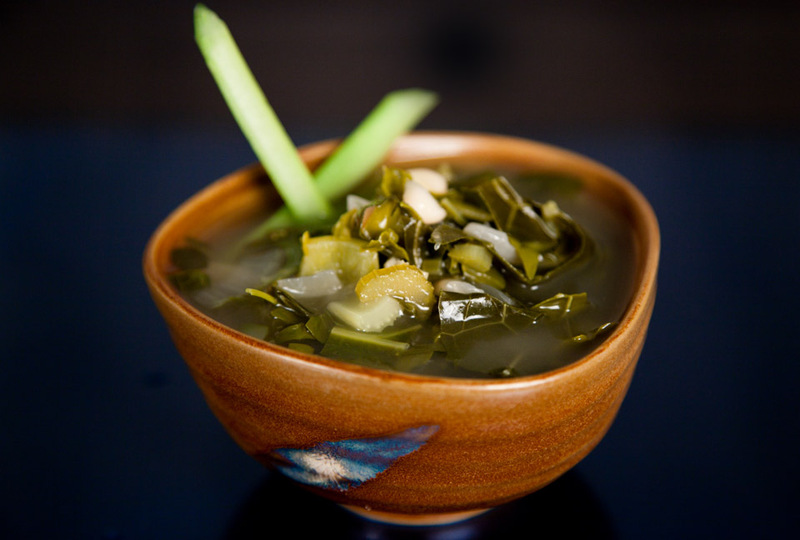 Mustard Greens are spicy and crunchy, they are also one of the most nutritious green leafed vegetable. 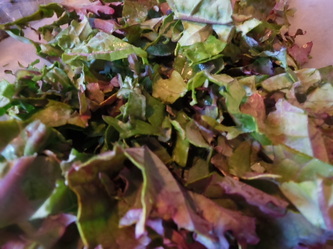 The lovely top greens can be sauted, used in salads, soups or in the place of spinach or kale. They are also known as Leaf Mustard. 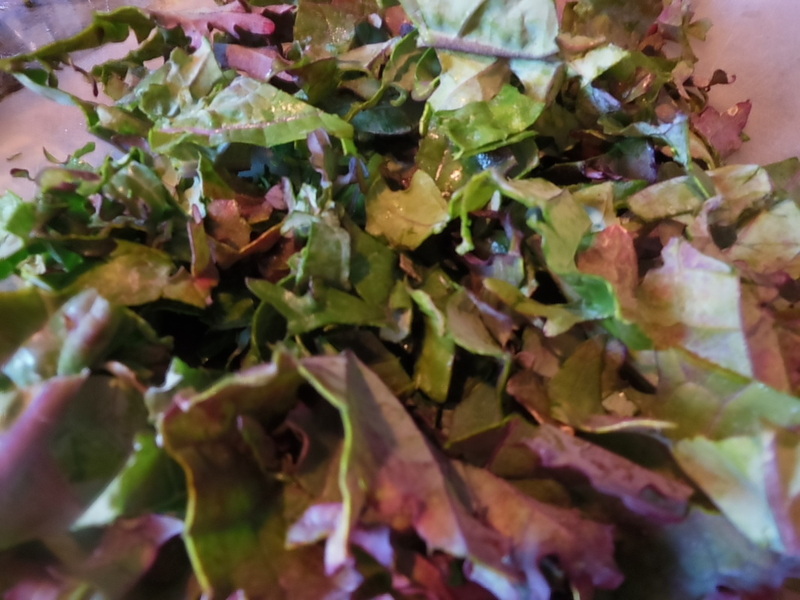 Red Kale is special because of carotenoids which is essential to eye health. Kale is rich in nutrients your body needs for its daily activities containing 100% of your daily requirements of Vit A, B C and E. Kale is part of the cabbage family. 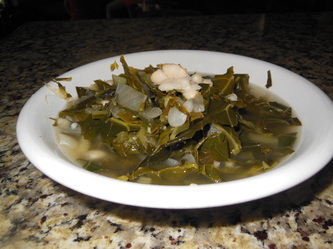 The idea of mixing these two greens in one soup makes this soup a power house of a healthy soup. 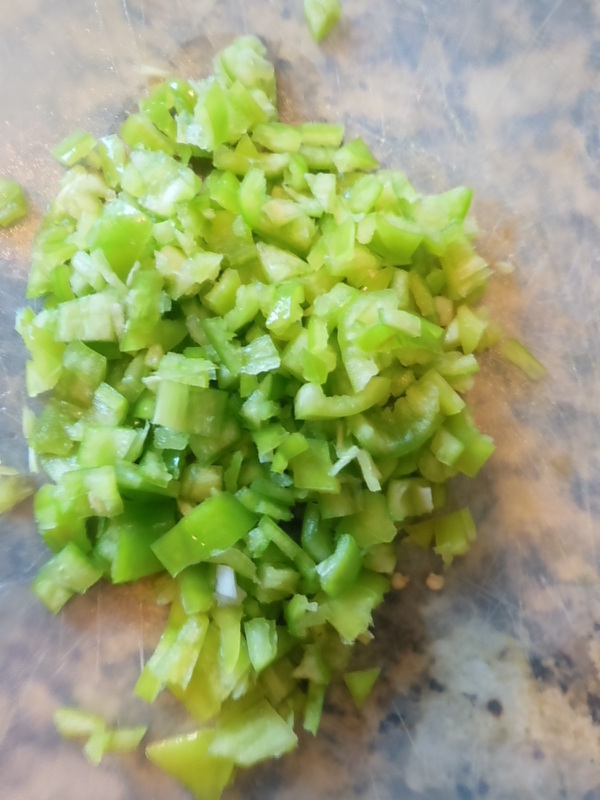 I added medium peppers for a punch and white beans for protein. I made the beans homemade but you could use organic canned (rinsed) beans if you wish. When working with hot peppers keep in mind that it is not the seeds (like most people think) that make the hot flavor but the ribs of the pepper. 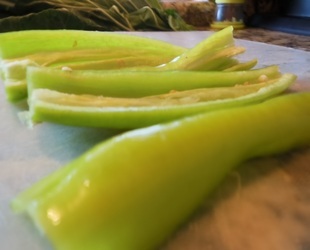 If you want to cut down on the heat then trim off the ribs while you are removing the seeds. 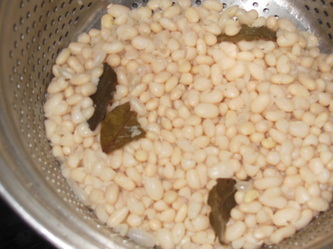 1 lb Great Northern Beans soaked in pot covered with water overnight, cook in a separate pot with bay leaves They should be soaked for 8-10 hours and not longer. 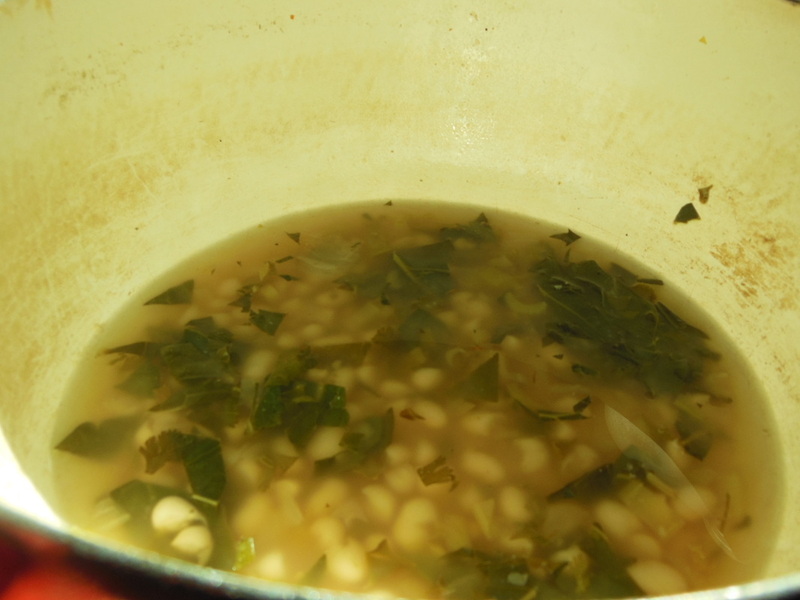 The beans can start soaking in the water and become mushy when cooked. 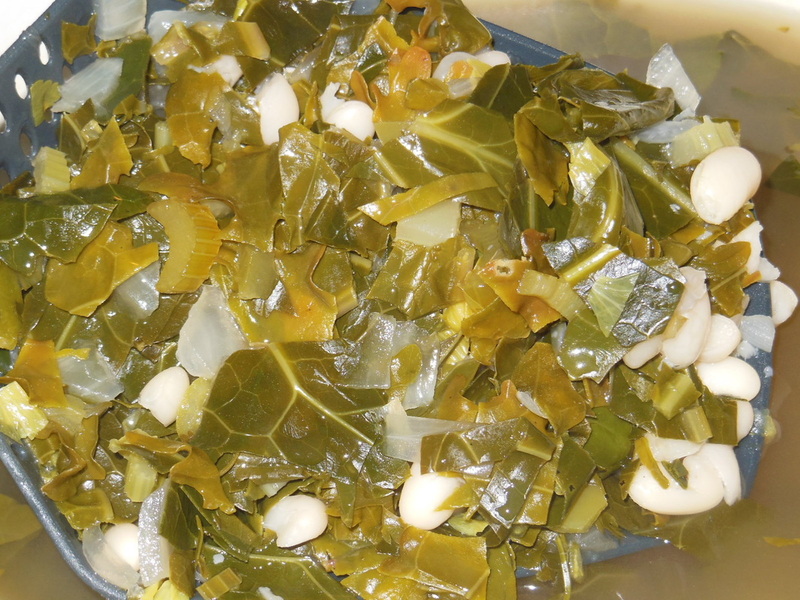 For 1 lb beans you need 4 quarts (16 cups) of water. You can substitute this step by using 3 (drained and rinsed) cans of Nothen White or Cannellini Beans. Add to soup for the last 10 minutes of cooking. 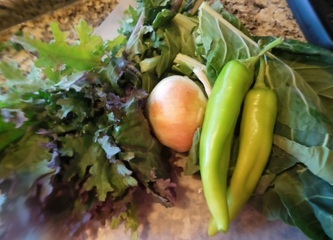 Put chopped Kale and Mustard greens in large bowl, squeeze the juice of 1/2 lemon over greens and mix with your hands. Keep to the side. 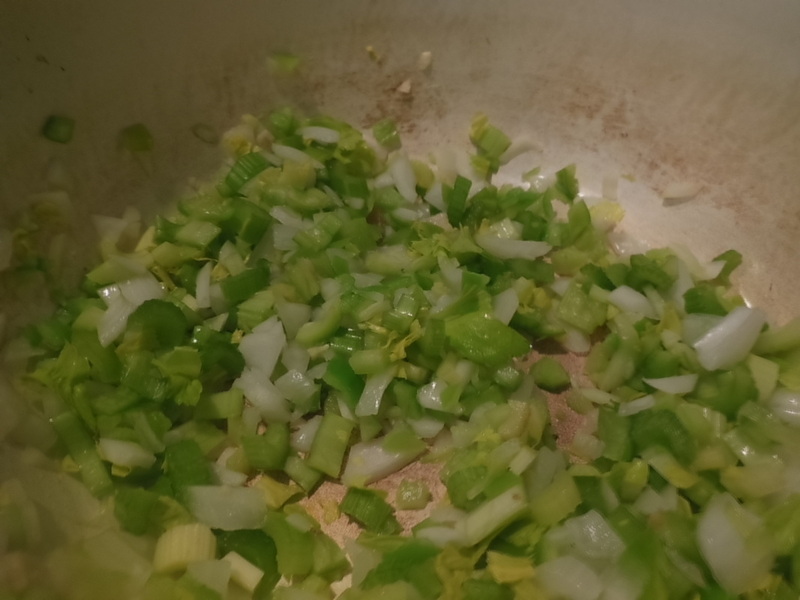 In Large soup pot saute onion, garlic, celery and peppers in olive oil 5-8 minutes until translucent. 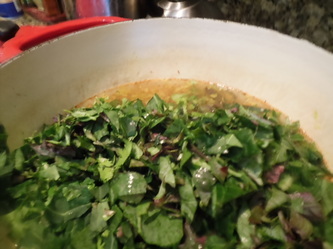 Add broth, cilantro, salt, pepper and greens to soup. 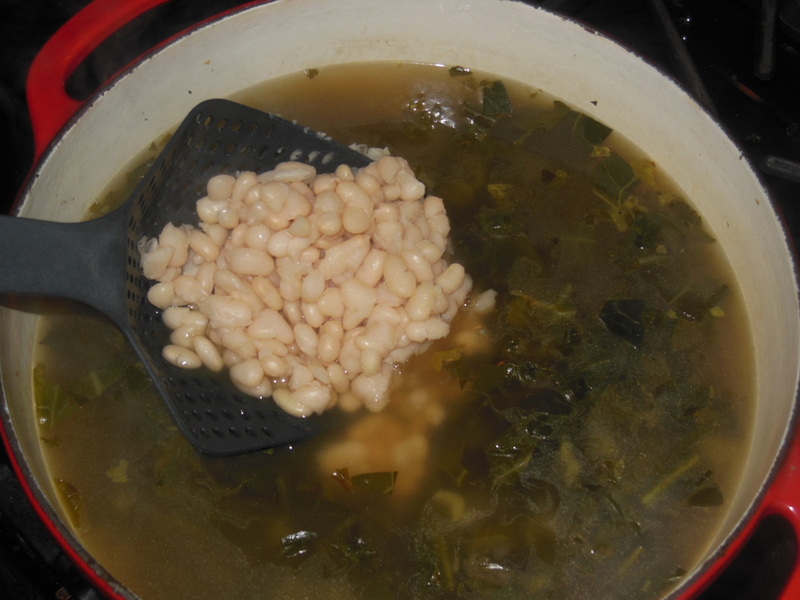 Cook for 30-40 minutes covered on low heat.. Add beans to soup and cook for 10 minutes. Serve warm, extra delicious the next day!